Friday, March 29 at 7:00 p.m.
For the last time this season, Walter Yoga is BACK at The Where?House Gallery to guide you Home with Hypnotic Lasers, Warming Bass and the Magical Wellness Vibes that only Walter Yoga can curate. We welcome you into our Connection Space for the exploration of the physical body, and the bliss and empowerment that comes with a celebration of the physical form. The synergistic union between wellness and music creates an ECSTATIC experience that is SO much more than a workout, it is a feeling of AWAKENING. Your limitless potential will be gently and powerfully opened with this all-levels yoga class by our FIRST and ONLY all Male Cast of the Season - Jason Zelich, Jacob Daffner, and Gordon Ogden will guide you through 90 minutes of Power, Music, and of course, Love, Light & Lasers. ….Almost forgot!! For the first time EVER we’re also having an AFTER party with delicious Mocktails. The perfect time to play and fully explore the Where?House Gallery. for the LAST Walter Yoga of the season. Saturday, February 2 at 10:30 a.m.
Our new location at the Where?House Gallery is more incredible than anything you have experienced before. With unbelievable art installations and technology-advanced experiences, this one-of-a-kind space will create the sense of childlike wonder, happiness, and community that Walter is known for. If that is not enough, we will have THREE incredibly strong and powerful female teachers joining forces to bring you an all-levels yoga class that is equally as moving as the environment. Join Bentley Fazi, Bex Richards and Kate Swarm for a phenomenal morning of movement and expression. Plus, we invite you all to wear a tutu on 2-2 as an opportunity to dress as happy and whimsical as you will feel. Saturday, October 27 at 10:30 a.m.
Walter Yoga is coming back bigger and better than ever and we are kicking off the season in a NEW VENUE!!!!! Our new location at the Where?House Gallery is more incredible than anything you have experienced before. With unbelievable art installations and technology-advanced experiences, this one-of-a-kind space will create the sense of childlike wonder, happiness and community that Walter is known for. Come help us open the largest Art Gallery in Phoenix with a yoga class and all the love, light and lasers you can handle. If that is not enough, we will have THREE incredibly strong and powerful female teachers joining forces to bring you a practice that is equally as moving as the environment. Join Kate Swarm, Angie Hall and Tara Martell for a phenomenal afternoon of movement and expression. The visionary behind Walter Yoga takes the stage. For the last 4 years Gordon has created a platform for other yoga teachers to share their passion on, but we here at Walter Yoga think its time for our founder to take the stage. Join us for another incredible class, with all the love, light & lasers you can handle. While Gordon guides our exploration of mind and body, DJ HyFi will create an immersive soundscape. See the Event Photo Album! A warrior unites the masculine martial expression with the yogic feminine form. Prepare to unite both through movement, meditation and sound bath. Join us for another incredible Walter Yoga class, with all the love, light & lasers you can handle. Aubrey and Jamie will be guiding our exploration of mind and body, while DJ Ascension paints a soundscape accompanied by live music by the Gongster, herself. We will see you at this celebration of a warriors love. Resident Yoga teachers Gordon Ogden and Kate Swarm are heading back to the magical Sedona Yoga Festival. Friday 12:30 - Panel Discussion w/ Gordon "Public Profile Personal Practice - How do we share?" Fri 4:30 - Yoga class w/ Kate and Gordon "Balance and Harmony"
Saturday 8:00am - Yoga class w/ Gordon "Drop into the Soul"
8:30am Panel Discussion w/ Kate "Music in Yoga Classes?" 2:30pm - Meditation w/ Kate "Electronic Sound Meditation"
Sunday 8:00am - Yoga Class w/ Kate - "Slow and Smooth"
10:00am - Presentation w/ Kate and Gordon "Love, Light & Lasers"
In yoga, universal oneness is described by the trinity of Truth (Sat), Consciousness (Chit) and Bliss (Ananda). Through an all levels bhakti flow practice Marisa will guide you towards an experience of this energetic state of non-duality, beginning with slow movements of self-inquiry and building into a meditation-in-motion guided sequence. Finishing this practice with pranayama, meditation and savasana will leave you feeling nurtured by the Source of your being. East Forest will provide the soundscape to this deep dive into Oneness. Everyone welcome...come prepared to joyfully expand your potential! This dynamic-duo will have your soul soaring, spirit flying, and form floating. These level 2 ACROVINYASA™ teachers will elevate your practice no matter if you're new to acro or a seasoned base or flyer. Join us for a mind blowing Saturday yoga class with all the love, light & lasers you can handle, Sunday for an ACROVINYASA™ workshop, or BOTH for a discounted price. We have circled the globe in search of the highest vibe yoga teachers alive, and we can promise you Jordan and Antonella are pure anti-gravity! Dec 7 - THIS is Happening! THIS Is Happening! is not only about giving your body everything that it craves; it is about connecting your soul with ecstatic experience and personal growth. With a carefully concocted itinerary, our chakras will become aligned through Guided Meditation with Kate Swarm. Our minds will become silenced through the healing sounds of crystal bowls facilitated by Natalie Anne Hewitt. Our souls will experience ecstasy through the facilitation of ecstatic dance by Kadance Love and sonic waves procured by DJ Hyfi and Louis IV // CONNECTjon. Our hearts will become opened through a world class tea lounge arranged by Shannon Stapleton and a Thai Massage Station by Jeremy Troughton. This is not your regularly scheduled programming. We encourage you to come with an open mind as we experience soulular bloom. lululemon and Walter Yoga invite you to close your eyes, take a deep breath in and imagine yourself surrounded by a warm buzz of open hearts, deep resounding beats, and an aura of total awesome. With the Dance Commander behind the helm of our ship to love + light + laser land, and DJ Chakra Khan working her magic on the climate of conscious collaboration in rhythm, this dance experience will be one-of-a-kind. Expect to laugh, breath deeply, meet new dance floor friends, let go, stretch yourself and have a whole lot of really big FUN! No prior experience with dance is required--just a desire to channel your inner dance floor freak (and a water bottle and some comfy shoes). 50% of all proceeds will be donated to the American Red Cross. Walter Yoga is a collective dedicated to creating immersive, full sensory experiences of transcendent bliss, personal discovery, and empowerment with the goal of helping people shed their limitations and be their best selves. They are known for their unique innovation in combining state of the art sound and light technology with ancient wellness practices, such as meditation and yoga. 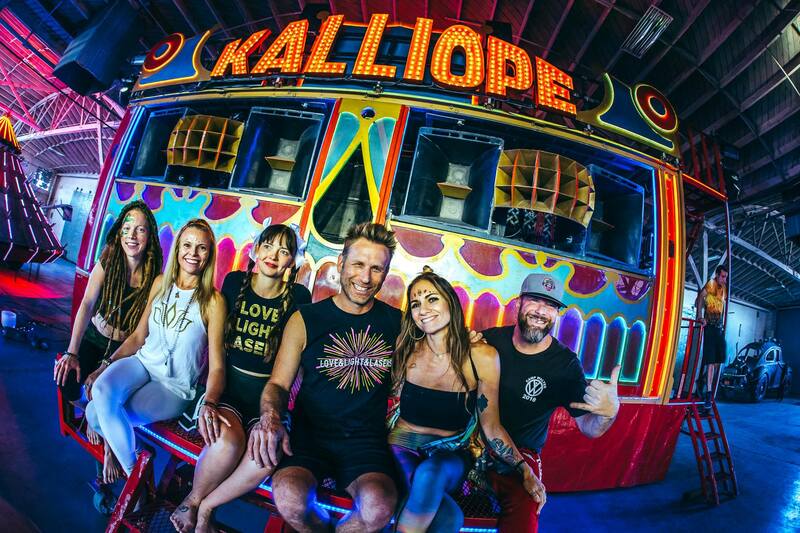 This passionate group will be offering Lost Lake attendees an opportunity to ground their festival experience with intention, cultivating a sense of mind, body, soul union which will channel the state of euphoric self-awareness that is created in the festival environment, to be sustained and expanded long after the festival is over. Walter Yoga believes that we gather in these joyful environments not to tune out, but to tune in to our natural state of being, one of peace, love, community, connection, and understanding. Join them throughout the festival grounds for guided meditation, and gentle movement. 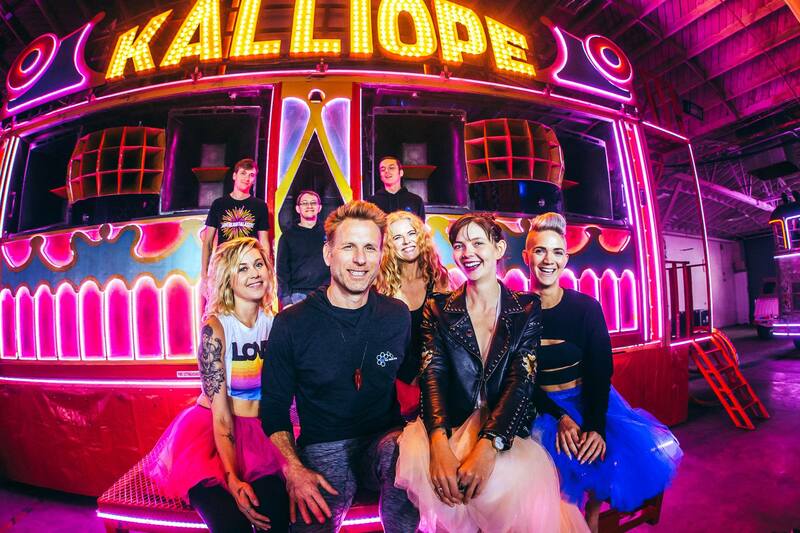 Walter Yoga is based out of Phoenix, Arizona and is an extension of Walter Productions, an entire fleet of entertainment-themed vehicles and venues, professionally managed on a gigantic scale, and dedicated to the wonder and delight of adventurers everywhere. Walter Yoga held its first event in 2014, and has since taken their vision out of their hometown studio and expanded their Love & Light & Lasers to produce activations for festivals and events throughout the United States, including Bonnaroo, What the Festival, Burning Man, and Oregon Eclipse Gathering. Walter Yoga’s goal is a simple one: to make the world a happier, healthier place...and have a little fun doing it. Walter Yoga will be performing across the Lost Lake Festival grounds throughout the weekend! Daily wellness and yoga classes starting at 10AM at Camp Walter! Vinyasa yoga to unionize Mind, Body & Soul with Gordon Ogden and Kate Swarm. Join this fun yoga class incorporating partner yoga and group flow to find holistic balance and perspective. What The Festival is a carefully curated weekend of interactive art, 8 stages of electronic and live music, speaker series, movement classes, and more! This premiere boutique festival experience is located on the edge of the Mount Hood National Forest, offering both forest and field for you to forget your day to day, connect with your inner child, and begin a new adventure for yourself. Join Walter Yoga resident yoga teachers Gordon Ogden and Kate Swarm at Bonnaroo June 8-11 for daily yoga and meditation. We will be setting up shop at Big Red's Garage, in POD 2 with our Walter Productions Crew. Not only will this be the place for yoga and meditation, the Walter crew will have a ton of fun games, face painting, and activities all week! The fun starts THURSDAY MORNING, when we kick off Roo with a MORNING DANCE PARTY. Come WAKE UP with us, and DJs Get Weird 6/8/17 10:00am! See you again at Bonnaroo 2018! THANK YOU to everyone that made this season finale a success! Join us for a mind-blowing night of yoga with Kate Swarm and Gordon Ogden with DJ KLU. It is our passion to share balance & harmony while creating a fully immersive yoga experience, unlike anything you have seen before! Thank you for joining us! Click Here to Watch the Video Recap! The Wake Up Call! morning dance party is back, and this time it is totally tubular and radically awesome because it is a 1980's celebration! This will be the best freaking way you could greet the rising sun, so grab your shoulder pads, leg warmers and Aqua Net and come dance with us. Join us for a mind-blowing night of yoga with Satsang and Anton Mackey. It is our passion to collaborate with the most mindful, skilled, and conscious creatives in the game...and THAT is Satsang! The vibes will be electric and the energy will flowing! Originally from Illinois, Yoga found Jamie in 2010 while living in Chicago. Through the persuasion of a dear friend, his love affair with yoga began at CorePower Yoga in Lincoln Park. With an active lifestyle, the immediate benefits of practicing yoga were physical, healing injuries sustained from soccer and other activities. The physical approach soon gave way to the spiritual side and this vibration continues to be his guide . In Jamie's classes, you will find a fluid flow of challenging sequences, with a strong focus on transitions. He believes that the magic happens in between the postures, as you link breath to movement and feel your way to your fullest expression. When not on the mat, you can find Jamie outdoors with his Chocolate Lab, Atlas. Thank you for joining us! - Click Here to Watch the Video Recap! Start your day with Love & Lights & Lasers! 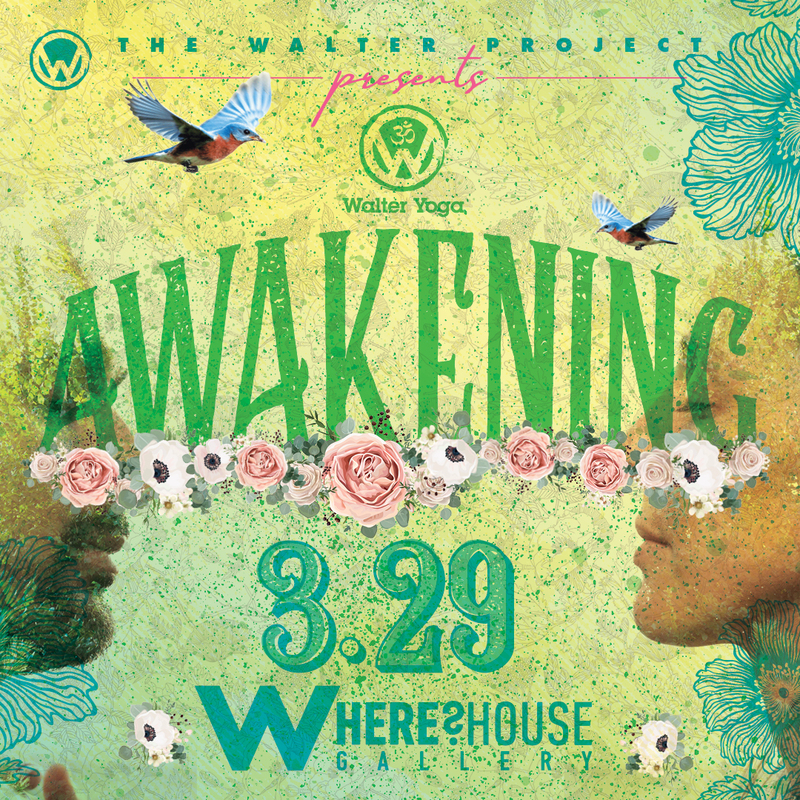 Walter Yoga has been added to Phoenix's premier morning dance party, the WAKE UP CALL! We will kick off the best morning EVER with yoga at 5:30am. Come join the health and movement, sunrise sensation that is sweeping our nation; and fuel your day on the ecstatic energy of fun, community, dance, celebration and intention.